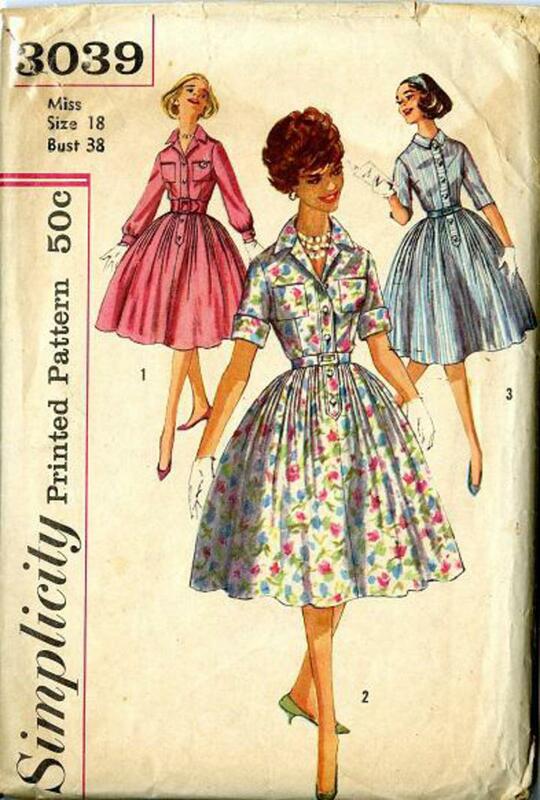 1959 Simplicity #3039 vintage sewing pattern, misses' shirtwaist dress, plus size 18. 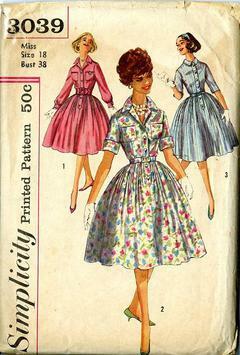 Shirtwaist dress has collar, set-in sleeves, front band and button closing with full, softly pleated skirt, pleated in groups of fours. Patch pockets optional. Long and short sleeve options available.